Make a reservation for your diving-course and recieve a 10% discount! ARE NOT committed to anything. Whilst only 3 billion people in the world live in coastal areas with easy access to the seas and oceans, less then some 50 million of the world’s total population has experienced the world of scuba diving and snorkeling. Human beings in large number traveled across the world in search of adventure, discovery and migration and yet 95% of the world’s ocean realm remains unexplored, unseen by human eyes. The reasons for this may be a fear of the underwater world as well as the need of knowledge and skills, sophisticated equipment for safety, effectiveness and efficiency as well as affordability. The human body comprises of some 80% water as body weight. Human beings technically spend the first 9 months of life in their mothers womb, essentially in a water world the earths womb which we were all born from. From the day we are born we are assumed to breathe naturally and most people are not taught how to the breathe correctly except in the specific cases such as, for example, yogis, professional athletes and singers and asthma sufferers. Scuba diving and snorkeling, beyond experiencing the beauty and amazing diversity of the marine world, offers a unique pathway to human health through the effective practice of controlled breathing, meditative focus and free flow physical exercise. In a sense the greatest challenge for scuba divers and snorkelers is to get their breathing right and this may perhaps be the greatest barrier to experiencing and discovering of the underwater world. Deep breathing also means increased oxygen intake and this has numerous benefits too. Increased oxygen levels in the body raises energy levels, stimulates circulation, benefits heart and lung function and improves mental capacities. This is relevant to removing toxins and also in handling, for example, depression, anxiety, and stress-related disorders. Scuba divers are taught to always breathe slowly and deeply during a dive. Divine rejuvenation Diving™ experience and our dive professionals and resident doctor and therapists will create tailored Divine rejuvenation Breathing, Meditation & Ayurveda Program for all guests. Divine rejuvenation Diving™ also incorporates very specialised equipment to allow divers and snorkelers to breathe naturally through the nose. This technique, developed at by our resident Doctor has turned out to be the most effective in enhancing total relaxation and release of physical and psychological tensions. A number of our scuba divers and snorkelers guests have described the Divine rejuvenation Diving™ experience as bringing back the deep and secure memories of the first nine months of life in the womb the oceans wealth. Book online and get a 10% discount on all meditation dives and therapies. Prices include meditation dive guide. 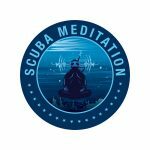 All certified meditation dives include cylinder, weights and meditation dive guide. Group rates are available. Copyright © 2018 Canary Diving Adventures. All rights reserved.